With it's body made from brushed stainless steel and the 3 viewing windows on the door, the Rottner Letterbox Casa Inox is a striking piece. The diagonally mounted flap has a small drip tip and protects your post from moisture and dirt. For personalization you will find on the door a name plate with a cylinder key lock. For easy installation of your mailbox you will find the right fixings included in your delivery. 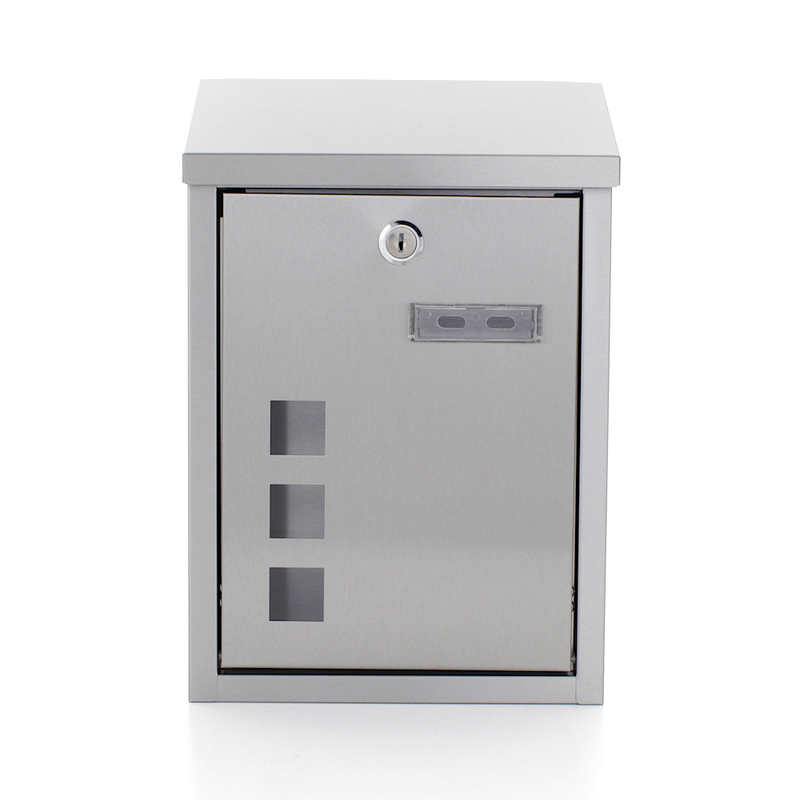 The Rottner Letterbox Casa Inox is a stainless steel mailbox with a generous slot size. The mailbox is made from brushed stainless steel and comes with 3 viewing windows to easily see your mail.